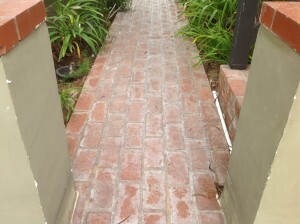 Efflorescence removal tips for saltillo tile, terracotta tile, flagstone, slate, pavers and efflorescence prevention advice due to flooding and tile water damage from a professional. 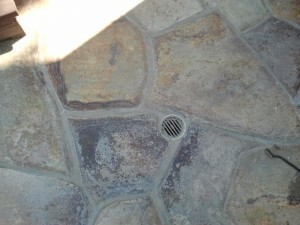 Rain, sprinklers, and elements, day after day soaking into the stone or clay, slowly, weakening the sealer and softening the stone which will shale in some cases, and window pane in others. Slate window panes in most cases, more than any other outdoor tile I’ve dealt with. The surface of the clay tiles, like the saltillos, tecates, super saltillos, begin to erode slowly. This happens MAINLY because of improper sealing from the beginning, and poor maintenance. Beware of those 300 lb floor pots that haven’t been moved in 10 years. Calcium starts forming and circling around the pot and into the grout. Here you will see the powdery white flakey crystals. Some say water activates the salts and lime in the terracotta tiles, and it starts with that powdery residue that crystallizes as the tile begins to slowly dry out. 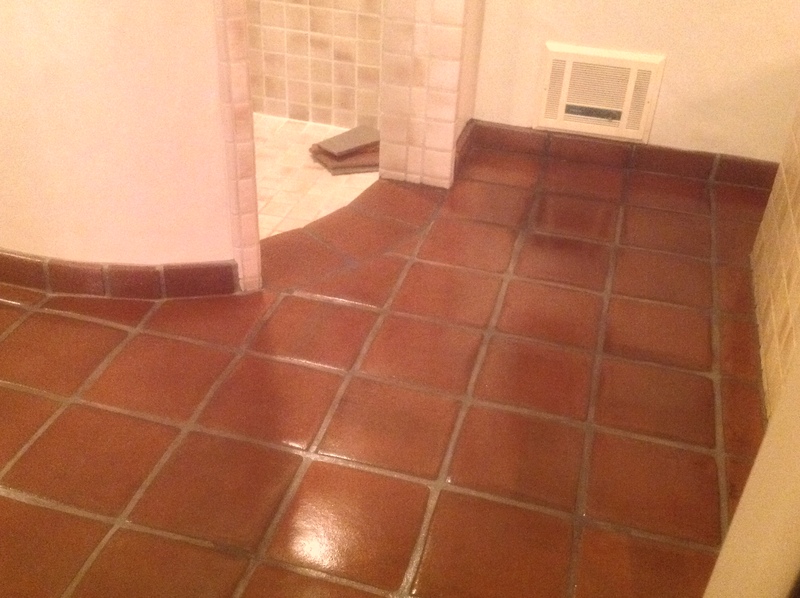 Now not to say there aren’t some great topical sealers that will give the tiles a shine and protect it FOR A LITTLE WHILE… But how long? 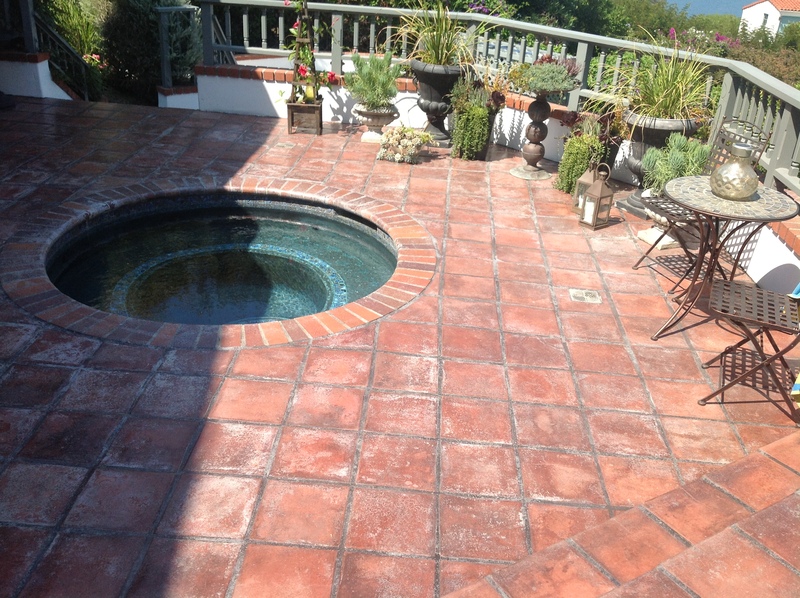 That is the mystery.. I’ve tried every sealer you can think of and some that you can’t, but the results are always the same as time progresses… They look good for a while, but then the sprinklers, UV rays, rain, excessive pot watering, etc, will take its toll and break down the tiles. But, (and there seems to always be a variable to every project) once it rained heavily and the water got through the hairline cracks and around the edges, mold started growing under the sealer. Not only that, but when even my best stripper wouldn’t touch it because remember, he used “super sealer” which worked great I might add… The reason I talked about this sealer is for the fact I don’t like products I can’t fix, and The result was the other company having to get their insurance involved. We also need to mention the grout outside, because it cracks not everywhere, but usually in certain places. So as time goes on and the earth spins, your outside walkways, decks, patios, and front porches are taking a pounding from mother nature. This leaves mans quest for the perfect yard, a failure thanks to the watering daily, and the not taking into consideration that he’s ultimately CAUSING all the problems that the tile endures over time. Things such as algae, tree sap, rust from lawn furniture, mold, improper drainage, or just clogged drains allowing the water to sit there on the surface, low sunlight.. 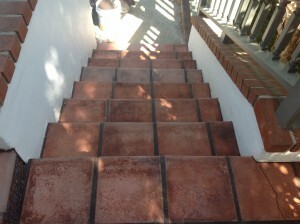 Even in the colder months those wet tiles may stay wet for months. 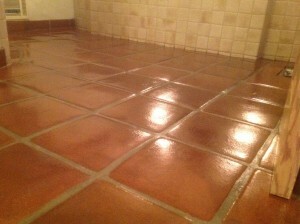 All surfaces and grout need to be sealed. 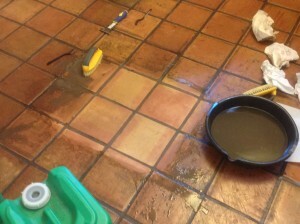 Doesn’t really matter the decision you make, but do not leave your tiles raw. This will surely damage them faster than you can blink. They should be cleaned and sealed right out of the box. For exterior tiles, my choice would be a color enhancing sealer, followed by a true penetrating sealer. 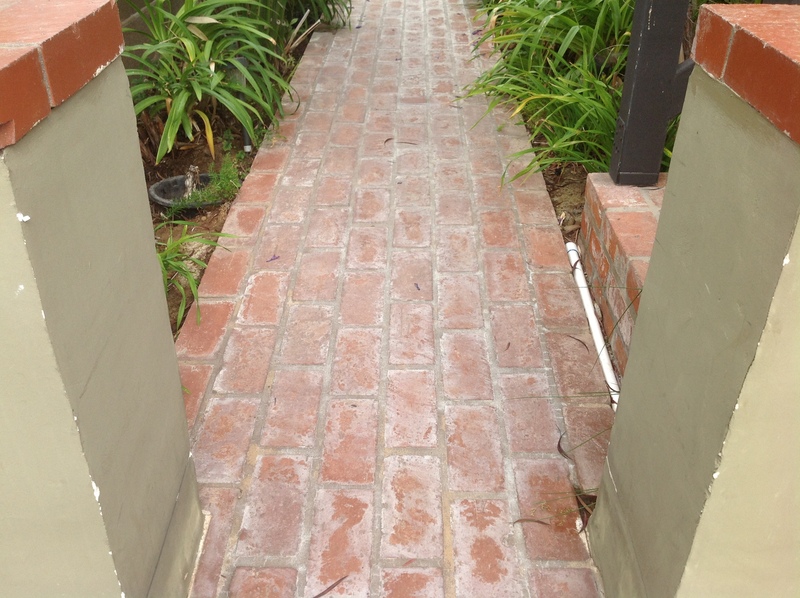 That would be the first line of defense in preventing efflorescence or water damage. 2nd, keeping flower pots elevated and on controlled drip systems to keep the water flow to a minimum. 3rd, have your gardener adjust your sprinklers to keep as much water off the saltillos, slate, flagstone, etc, as you possibly can. Don’t use topical coatings outdoors, I don’t care how good a salesman makes it sound, they WILL fail eventually. Finally, seal your exterior tile and grout no matter if its stone or clay tile flooring, more often than the inside flooring for obvious reasons. 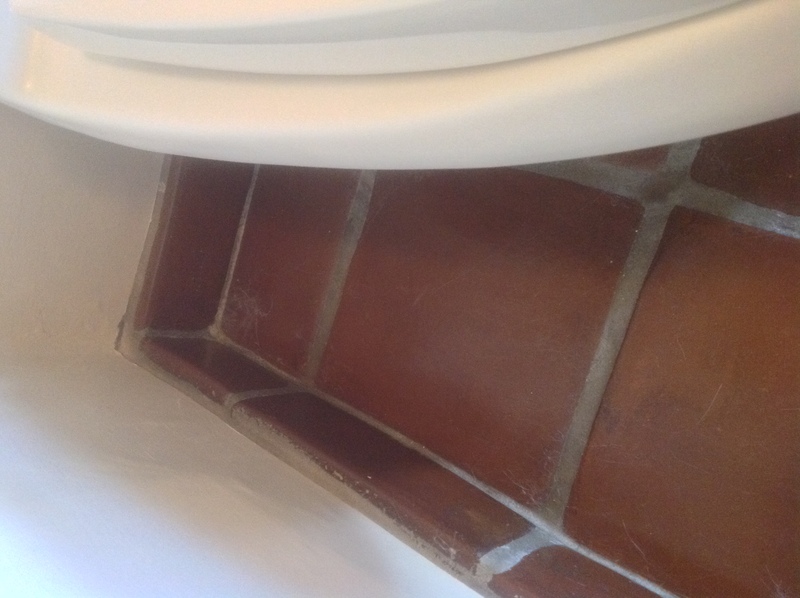 I would personally clean and seal the tiles every other summer. 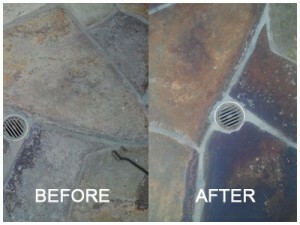 Water damage and calcium are more likely to be found on exterior flooring and coping. 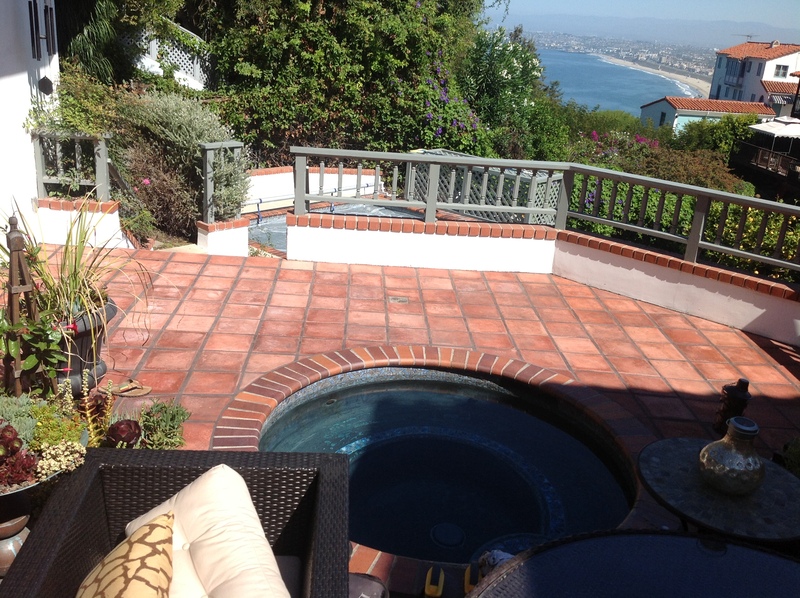 But occasionally we find it near showers or near a leaky washing machine hose area where pavers and stone would be in a typical American home in California. Matter of fact, the whole country. 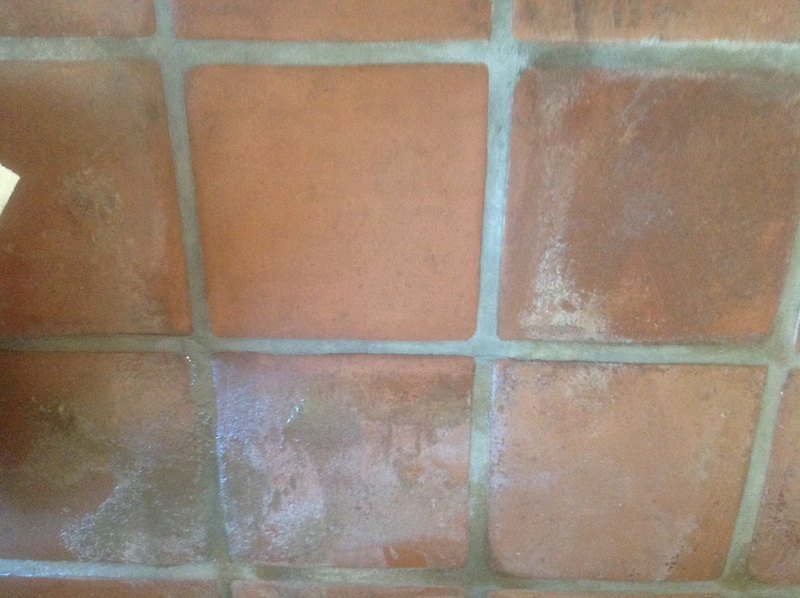 95 % of the time it’s not efflorescence at all! It’s the topical coating sealer failing, turning cloudy and hazy. 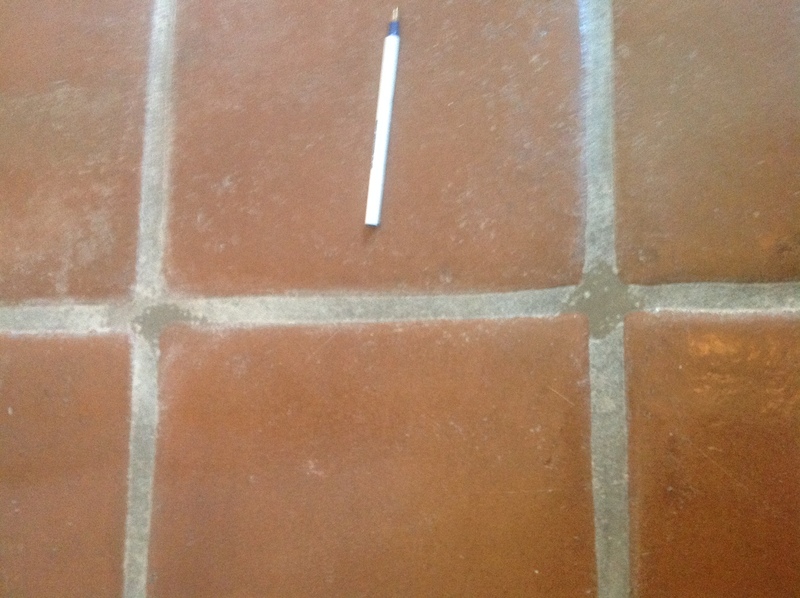 This usually starts in the grout , and then forms squiggly white lines in the surface of the sealer eventually turning white and pealing. The fastest way to achieve the things I’ve spoken about above, is a flood… Yep, flood damage caused by the water getting in and under the floors anyway possible. You know water, it will find it’s way into any weak spot. 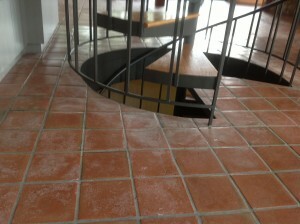 As it dries out, the existing finish turns foggy and translucent. Eventually when the tiles and grout finally dry out, the floors will need to be stripped to remove all of the old coating, thus getting rid of the haziness commonly mistaken as efflorescence. Helpful Hint: If you do have a flood and can strip the floors right away and put fans and dehumidifiers in the room they will dry out faster.